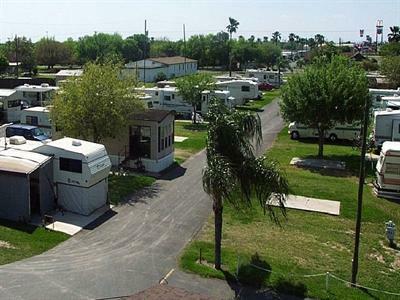 If you're looking for fun in the South Texas sun, just head to VIP La Feria RV Park, our campground on the Texas Gulf Coast. 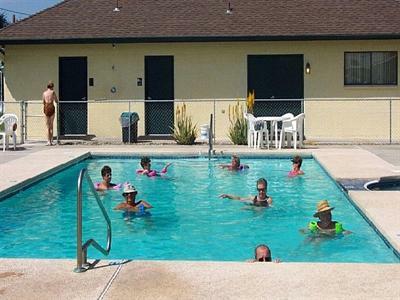 Designed for adults aged 55 or better, our full-service RV park is just seven miles from Harlingen and twelve miles from the moving Iwo Jima Memorial. 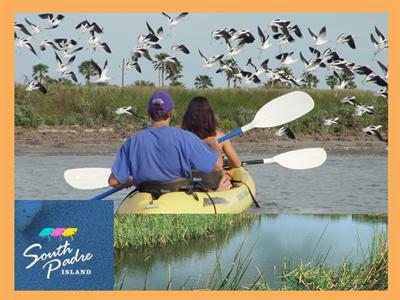 You'll enjoy terrific day trips to South Padre Island, the Port Isabel Lighthouse State Historical Park, and nearby McAllen, Texas. 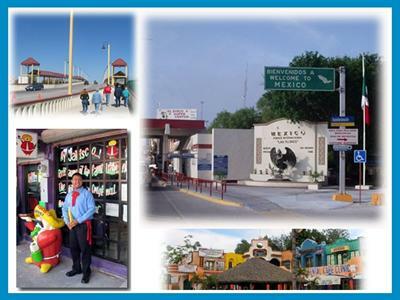 Don't miss the chance to step across the border and enjoy the terrific bargains and deals in nearby Progreso, Mexico. 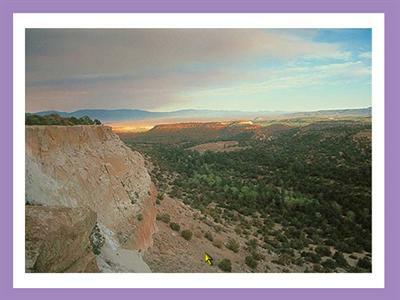 Book your campsite or RV site today with our handy online reservations system. 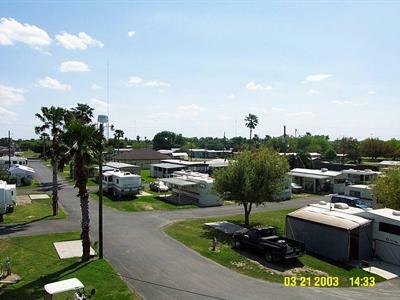 VIP La Feria RV Park is conveniently set off Expressway 83 in the lovely, palm-filled Rio Grande Valley. 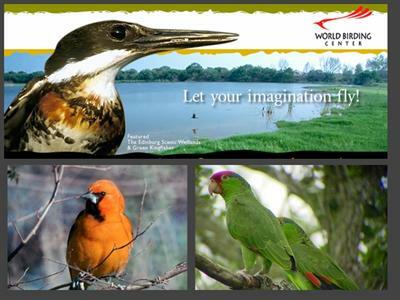 This is the home of the World Birding Center, a hand-drawn ferry across the river, and the tasty Port Isabel Shrimp Cook-off in November. Join us for trips to the famous Gladys Porter Zoo in Brownsville or for days of fishing off the gulf coast. You've never had seafood like we serve in this part of Texas! 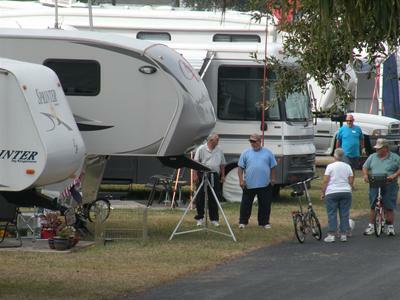 We have excellent facilities at VIP La Feria RV Park, from full hook-ups for RVs to mobile home sites. You can take a dip in our two swimming pools, relax in the hot tub spas, or play a game of billiards, shuffleboard, or horseshoes. We even have an exercise room right onsite. Be sure not to miss our annual Fiesta de la Feria, held the last Saturday in February, or our yearly inter-park golf challenge tournament with lots of prizes. With all there is to do and see, you're going to love camping in the Texas Gulf Coast with us! How to find us... VIP-La Feria RV Park is easily accessible from Expressway 83, the main East-West route through the Valley. From the North, Highways 281 or 77 intersect Expressway 83. From Hwy 281 South: Take Expwy 83 East (to Harlingen) approximately 22 miles. Take La Feria Exit. Stay on Frontage Road to VIP-La Feria Park entrance. From Hwy 77 South: Take Expressway 83 West (to McAllen). Take La Feria exit onto Frontage Road. Turn left on FM 506; cross under expressway. Turn left and stay on Frontage Road (eastbound) to Park entrance. Or, you can fly into the Valley's most centrally located airport, Valley International Airport of Harlingen. This is our first time to the Rio Grand Valley in many years and the first time staying there in an RV. I never realized how much there is actually to do in the valley. VIP had so much going on all the time and so many choices that I felt like I was on a cruise ship(only spending a whole lot less). There is bingo, card bingo, card games, dominoes, ice cream socials, pot lucks, water aerobics, day tours, jewelry making, Wednesday night live entertainment, free bikes to ride, etc. And of course a gorgeous heated pool and hot tub. We especially loved all the people staying at VIP, they were all very welcoming and quickly accepted us into their group. Spots are quite tight but never any noise, it was really fun just to look out our windows and see what's going on and see people. This is an older park but absolutely spotlessly clean. This is all because of the great park managers John and Ruth. They were so kind to us we felt like we are old friends from the moment we met. Some of the things to do in the area are flea markets, going over the border to Progresso, visiting border patrol, South Padre Island with day cruises and fishing trips, the Iwo Jima statue, butterfly habitats, just too much to list. So my recommendation is stay at VIP you will love it like we did, and we are definitely going back next year. If you are wanting an economical place to visit go to the valley, everything is so much cheaper including the RV parks, so many produce stands with unbelievable prices, this place is heaven for a penny pincher! Friendly staff, very well-maintained, and we felt very safe! Our visit was very enjoyable!